The Federal Government on Tuesday said it might approach the National Assembly, to repeal the Act setting up the Nigerian Maritime Administration and Safety Agency, if its management failed to justify the judicious utilisation of the huge resources at its disposal. 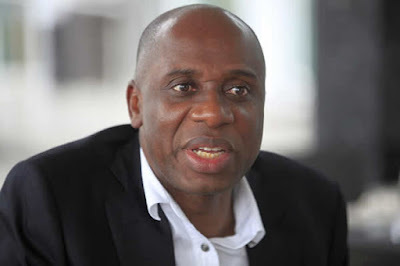 Minister of Transportation, Mr. Rotimi Amaechi, gave the hint in Abuja, when he appeared before the Senate Committee on Marine Transport, headed by Senator Ahmed Sani, to brief the senate panel on the activities of the agencies under his supervision. The minister lamented that NIMASA had nothing to show for the N63bn revenue it generated last year and even cited an instance where he discovered that there was no equipment at the agency’s search and rescue unit meant to monitor movement of vessels and provide treatment for injured personnel. He said, “Currently, the way NIMASA is, if you look at it very well, it was worse in the last administration. It was as if it was established just for the purpose of collecting money and nothing more. What we need to do is to ensure that NIMASA discharges its core responsibilities. “If NIMASA failed to perform its core responsibility then it has no business existing. If it is just to collect money from individuals, anybody can do that. We can hire a tax collector to collect money from maritime operators on behalf of Federal Ministry of transport. “So it is either NIMASA sit up and carry out its own responsibility or we come to the National Assembly to repeal the Act setting it up and allow the Department of marine security in the ministry of transportation, discharge the responsibility currently being discharged by NIMASA.